Interested in what we do? View the photo album and see some of the great activities and work we've done in the community. 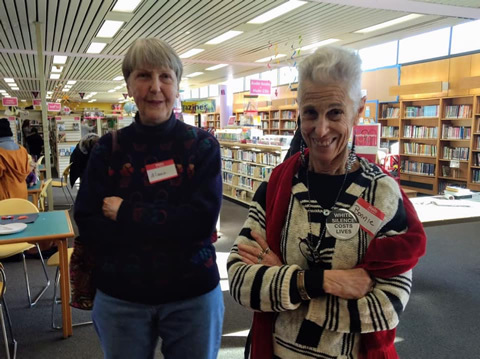 H-CAN MLK event at the Haverford Library on January 21, 2019. A packed audience taking the “Be a Voter!” challenge at the September 16, 2018 H-CAN monthly meeting. 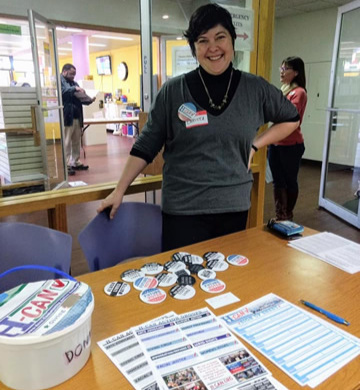 Members of H-CAN’s Indivisible action group at the voter registration tables at the September 16, 2018 H-CAN monthly meeting. Mikhel Harrison from Indivisible PA speaking to a packed audience at the September 16, 2018 H-CAN monthly meeting. H-CAN member Alan Collins speaking about how to spread the word about the importance of voting at at the September 16, 2018 H-CAN monthly meeting. Tracy Lira, who spoke at the April 15, 2018 H-CAN general meeting, shared with the audience tips on how to fight climate change. Dr. Maureen Reusche, Superintendent of the School District of Haverford Township, speaking at the Martin Luther King Community Commemoration Haverford Middle School H-CAN event on April 4, 2018. Members of H-CAN participated in the Philadelphia March for Our Lives to demand for sensible guns laws on March 24, 2018. Tara Murtha from the Women's Law Project speaking at the March 18, 2018 H-CAN monthly meeting. H-CAN members packed the Haverford Township school board meeting asking for a school policy change to protect immigrants on February 1, 2018. On January 20, 2018, members of H-CAN joined thousands on the Benjamin Franklin Parkway at the Philadelphia Women's March. To kick off the new year, H-CAN held an action group fair at the January 14, 2018 monthly meeting. 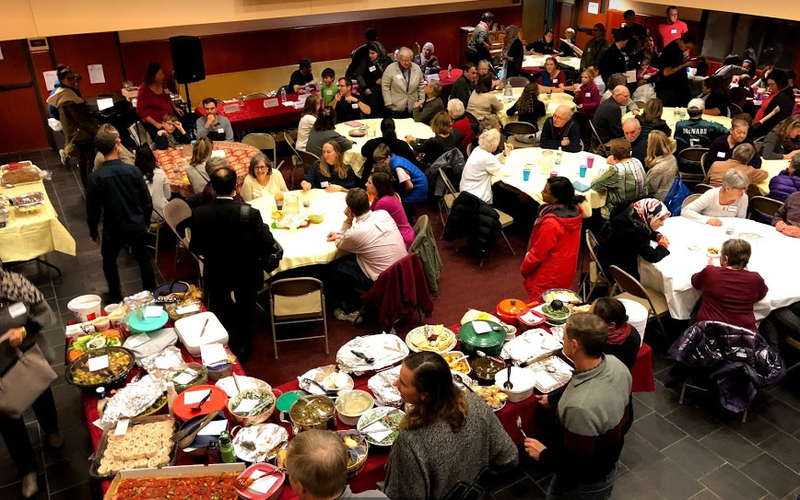 Hundreds of people from the local community came out for the 10 Ways to Help Your Muslim or any Immigrant in Your Community event on November 19, 2017. After a white supremacist protest turned violent in August 2017, H-CAN members came out to support a local Stand Up for Love event on August 13, 2017. Cathryn Miller-Wilson, Executive Director of HIAS Pennsylvania, speaking at the July 16, 2017 H-CAN meeting. 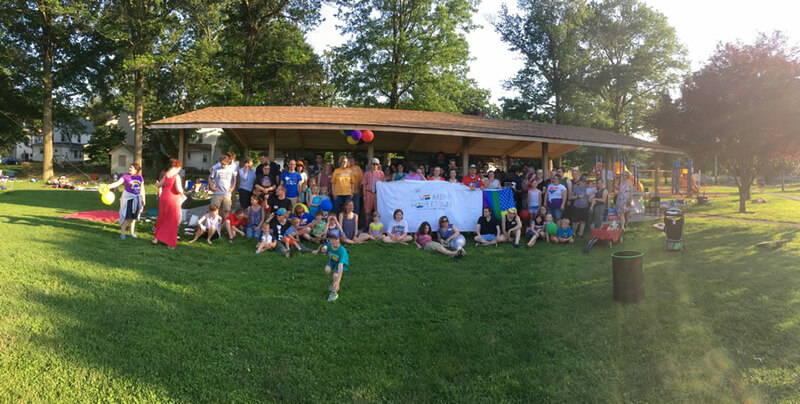 H-CAN organized the first Havertown pride picnic on June 10, 2017. Members of H-CAN march along with thousands of others at the Philadelphia March for Science on April 22, 2017. A smiling group of H-CAN members taking part in the ACLU People Progress event (a virtual conference with hundreds of satellite branches participating across the US) on March 11, 2017. 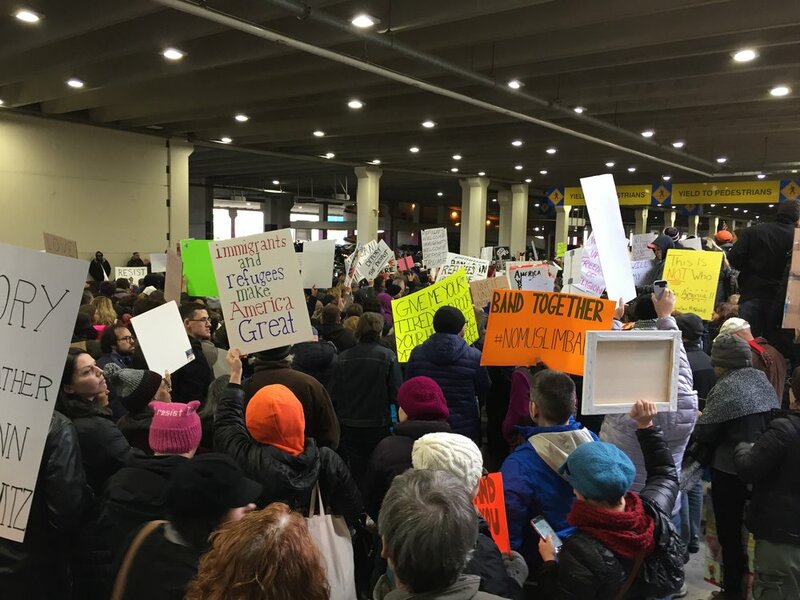 On January 29, 2017, members of H-CAN, along with more than a thousand others, protested the travel ban at the Philadelphia International Airport. Tens of thousands of people came to the Philadelphia Women's March on January 21, 2017. H-CAN was there.